Just before the disaster in Japan I wrote an article concerning living in the Era of 2012. In the article I tried to warn people that we are now living in a dangerous era in history . We are timed by natures cycles for a period when nature is again ready to erupt, quake and torment the surface of this planet. Since I wrote that first article about the Era of 2012 I have received a great many emails from people wanting to know why I wrote that article a week before what seems to be a roller coaster of natural disasters on this planet. Please understand I had no idea at the time what was to happen so close to my publishing that article. It cannot help anything by being angry at my warnings. 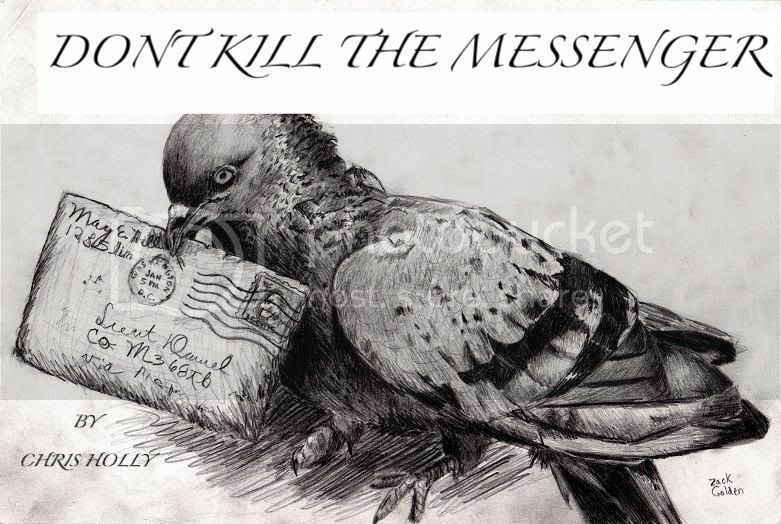 Please do not kill the messenger because you dislike the message! Ancient civilizations have ridden tough times leaving us with prophecy by the volumes that these cycles will again return bringing havoc and catastrophe to this planet and mankind. I admit my timing with that article seemed a bit odd as the earthquake and tsunami in Japan occurred so close to when I published it. I wrote warning that many natural disaster events were on our horizons. Since that disaster took place it seems the world has been plagued with one extreme weather or natural disaster after the other. Floods, raging fires and record breaking tornado's seem to be back to back. The onslaught of current events has left mankind struggling with nature as it rips through the world doing as it will while we try to hold on for dear life. Besides nature our planet is on a hard spiral of destruction with violence filling the news and war covering many areas across our lands. We seem at odds with each other and the planet seems at odds with us! I admit the timing of my article concerning this point in history I refer to as the era of 2012 may have been prompted by a few recent discussions I had with the abductees I often write about. As a group they all have talked about this being a time of great change to the planet. I admit our discussions influenced my writing the article when I did however in no shape or form did I or any of the abductees have any idea so many events would take place back to back since the earthquake in Japan. I have had many emails and phone calls from my readers asking me why and how I knew the disasters that have recently taken place were about to occur. I have been accused of having advanced knowledge of the events which is simply ridiculous. Logic was the only tool I used in predicting the things that were to come. All the events we are seeing now are either due or long overdue to happen . It was very unlikely they would not occur. I have no idea why people are shocked when they do happen. We have been told by many for a very long time that we will see massive earthquakes, horrific storms as well as volcanic eruptions. I am confused why people seem stunned when they happen? Times will continue to be tough on this planet. Please do not hate me for suggesting you prepare. It is wise to do all you can to ride the coming tides of what may be an ongoing wave of natural disasters combined with man-made destruction. We have had many years of the best of times on this earth .It is only logical that this would be balanced out with a few difficult years as well. To blame me or the abductees for wanting you to be ready for what may come just does not make sense. I think it far wiser to spend your time understanding it best to do all you can to be ready for the days ahead . A very good friend of mine lives in North Carolina in the U.S.A. He and his wife were in the middle of the tornado storms that ripped across that state. My friend told me there was no time to be frightened and only time to carry out the plans they made previously in case this very thing would happen. Together he and his wife quickly gathered the items they knew they wanted to protect from the storm. They went to a safe room they had prepared and placed their motorcycle helmets on their heads . My friend told me he was not frightened as he knew they were as prepared as they could be for the situation they were now in. Thankfully my friend and his wife and home survived without harm. The houses less than a quarter of a mile away from them however were destroyed. This unfortunately is the way of the world at this time in history and we need to accept this fact and do all we can to prepare to survive just as my friends did. Please do not be angry at me for being truthful and forth coming about what is ahead. Please do not be angry at me for pointing out it is time to not only face these harsh times but to ready yourself and your family to the best of your ability to prepare for them. I had no advance warning or knowledge the era of 2012 would hit us so hard or so quickly. I prayed I was wrong and the years to come would be good ones without harm or stress. It does seem that the warnings of this time period have been just and we will have to be ready for whatever is thrown at us. Again I strongly suggest you try to work out your plans to ride out a disaster . I think it wise to supply your home and family with basics to survive for a few weeks in case you find you are in a crisis and have only your own devices to survive. Extra can goods, water, a first aid kit , candles, matches and a heat source even extra blankets may be all that stands between being able to survive or not . Do try to heed on the side of caution and do all you can to save yourself. For now please do not attack the messenger. I did not cause of know the disasters that took place were going to happen so quickly after my publishing my article warning of the point in history we now live in. I knew hard times were due for the planet and mankind. I felt referring to this time as The Era of 2012 was fitting. I did not however have any idea how close I would be to calling the events just before they occurred. That has to be chalked up to coincidence. Please do not kill the messenger- instead heed the message.